GST will lead to a massive disruption for businesses in the short term. 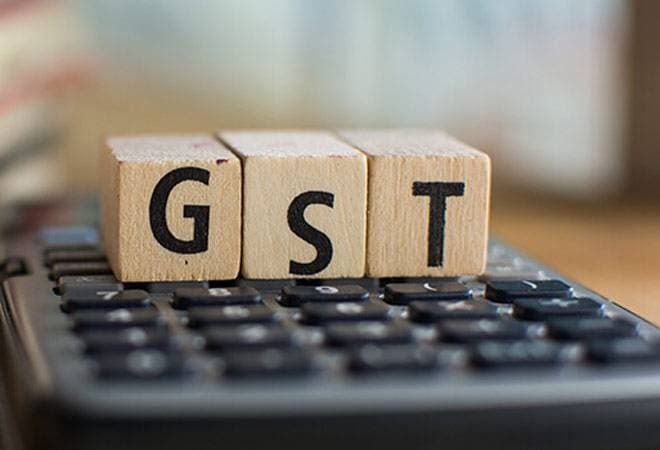 With the announcement of tax rates for different goods and services, the government has entered the last lap of the race to implement the much-awaited Goods and Services Tax (GST) from July 1. While the new tax rates for products and services may not have many surprises - barring the fact that services now come under four slabs as against a uniform 15 per cent rate earlier -- the very fact that the move to GST involves complete overhaul of the indirect tax system means impact on businesses, at least during the transition period, will be huge. Under-preparation: Though the GST law has been under discussion for quite some time, it has been finalised and notified only in the last few weeks. Some states are, in fact, yet to notify their laws. With a month to go before the roll-out, there is still confusion about the rates. Besides, many companies are yet to put in place new systems and software such as ERP (enterprise resource planning). Some big companies: even a few public sector companies - are still in the process of floating tenders for hiring financial consultants. Any under-preparation will lead to non-compliance with the tax laws and have economic consequences such as delayed availability of input credit and loss of business. Compliance cost: GST is a technology-driven system where every transaction - from invoicing to payment of tax - has to be done digitally. The government has invested heavily in building the technology ecosystem. But companies and other taxpayers will also have to invest in proper ERP and other software or hire third-party software providers. Here also, technology alone won't be enough, as companies need to capture input tax credits on their own and then reconcile with suppliers' returns to ensure that there is no mismatch. If there is, their tax credits will get blocked. The businesses will also have to hire professionals for help. "Compliance costs will rise substantially. In case of services companies that have pan-India operations, compliance costs would increase manifold, as hitherto they were operating under centralised service tax registrations,' says Kumarmangalam Vijay, Partner, J. Sagar Associates, a law firm. Working capital cycle: The working capital cycle of companies will be hit for many reasons. One is unavailability of input credit balance from the previous tax regime. Usually, businesses pay indirect taxes net of input credit in their balance. In the new system, they will start with nil input credit balance. An India Ratings and Research report says this will lead to locking up of input credit of close to `1 lakh crore, of which about `50,000 crore could be blocked for about two months - which may result in higher short-term working capital requirements. This calculation is based on a study of tax liabilities of a sample of 11,000 companies. Tax on inter-state stock transfer will also increase working capital requirements. According to a Crisil report, "GST will increase working capital requirements across major manufacturing sectors on account of tax liability on inter-state stock transfer. Businesses will not be able to claim tax credits until the goods shipped are sold." The time lag in claiming input credit against tax paid on inter-state stock transfer will also increase working capital requirements. Stock transfers do not attract any tax in the current regime even in case of inter-state transfers. There will also be the issue of delays in claiming tax credits due to mismatch in returns filed by suppliers and buyers or non-payment of tax by suppliers. Challenges in using technology: The whole GST ecosystem is based on an IT-enabled platform, and its success in the transition phase will depend on how well taxpayers adapt to it. The fact that many small traders/entities still file returns and pay taxes manually means the shift from offline to online will itself be a big disruption for them. Vinay Sethi, Head, Market Development, Tax and Accounting, South Asia, Thomson Reuters, says Indian taxpayers are not keen to use technology the way GST requires them to. In the early days, it is likely that errors in (untested) IT systems or ERP software may lead to delay in filing of returns or payment of taxes. At times, taxpayers' inability to operate these systems itself may lead to problems for them. "For the initial period of three-six months, if there are technological challenges in filing of returns or uploading of invoices, the government should take a favourable view while considering any delay in return filing or tax payment," says M.S. Mani, Senior Director, Indirect Taxes, Deloitte India. Input credit losses: As per the draft transition provision, only 40 per cent input credit would be available for taxes paid under the old system on raw materials and semi-finished/finished goods held in stock. This will not only mean loss of input credit but also force wholesalers and dealers to de-stock inventories. This could lead to slowdown in uptake of goods from manufacturers or suppliers, leading to temporary shortages. There have been representations from industry for changing the provision and increasing the 40 per cent input credit figure to 60-70 per cent.